Say it with leaves! – Dilo con Hojas! We did this activity some time ago. 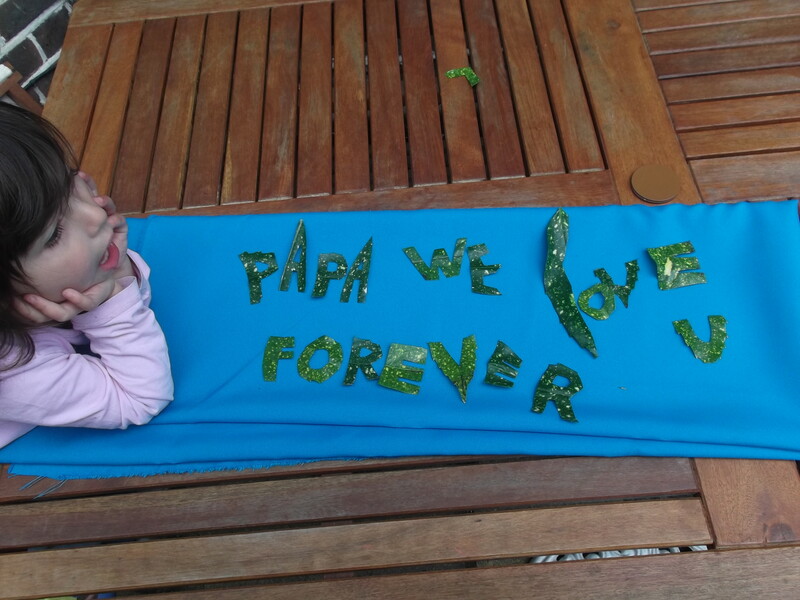 It was actually to send a message to Papa via mobile wishing him a Happy Father’s day but it could obviously serve you for any type of message and best of all in ANY LANGUAGE! This idea came up after a session of pruning our back then large bushy plant. 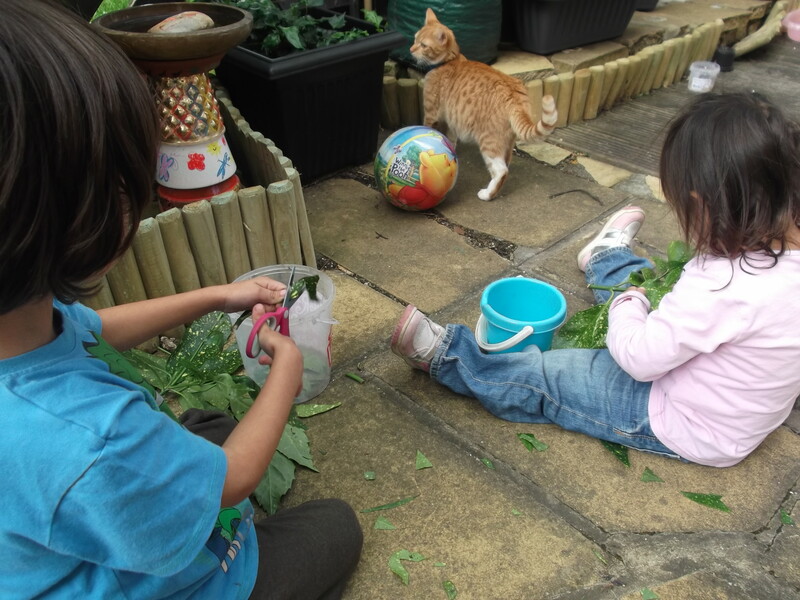 The kids found very entertaining the idea of collecting leaves and then cut them into funny shapes. 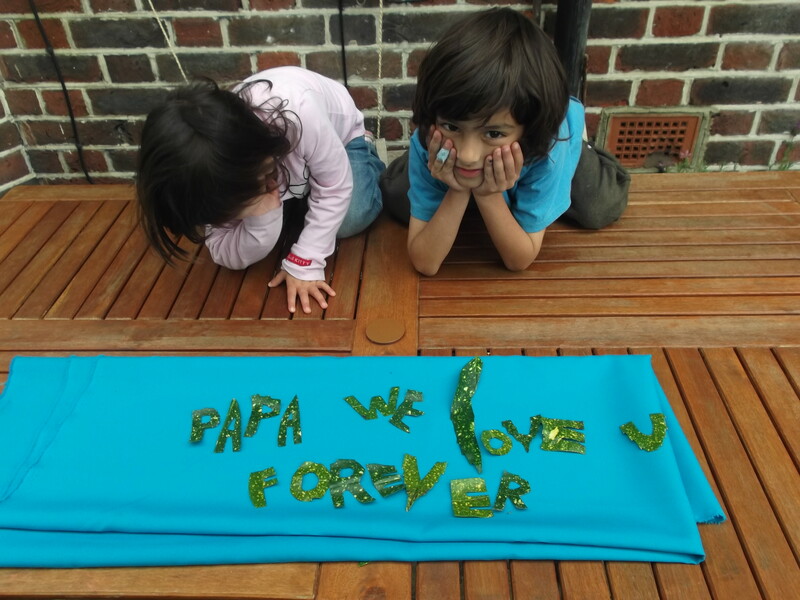 And there it was, after a period of “idea leaping”, we came up with letters made out of leaves! What a great way to tell someone you love them! 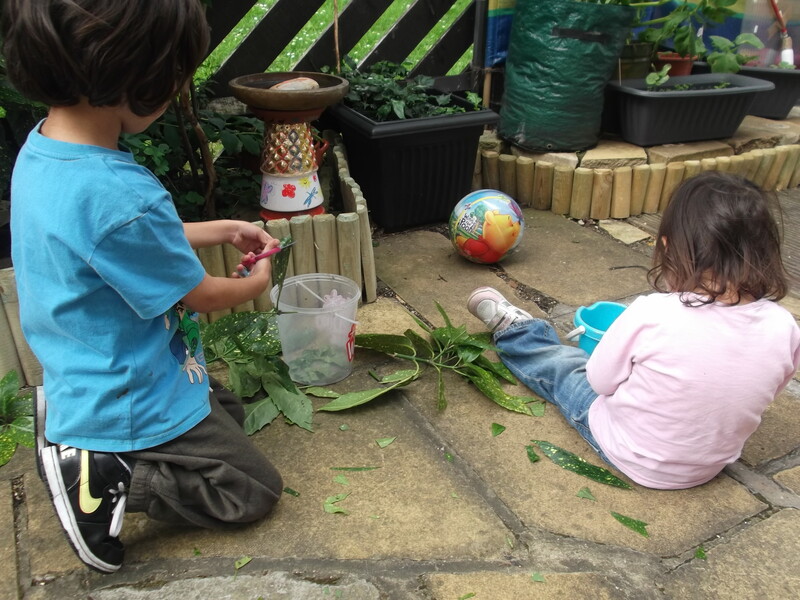 This entry was posted in Crafty Projects for Children, Literacy and tagged communication and language, fine motor skills, ideas con hojas, language activity, leafy messages, literacy, mensajes con hojas by Bodymindsoulparenting. Bookmark the permalink. Muy bonita idea Nancy!! Como dice Wissam, “I loooove it”!